I think it's safe to share some of the gifts we've been churning out over the last few weeks. Many napkins, place mats, and tablecloths! 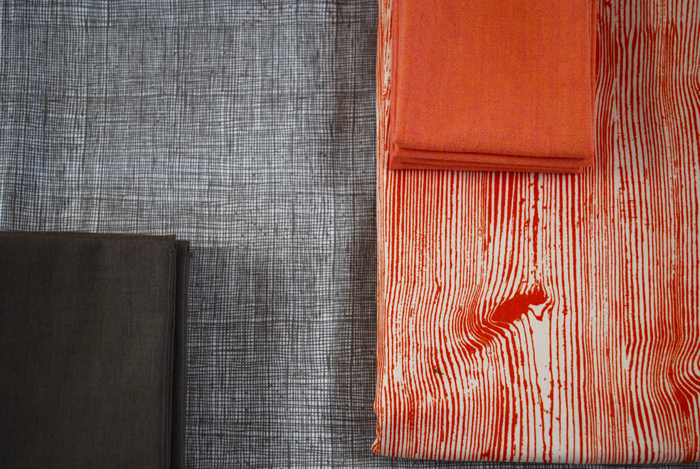 Close-up of the fabrics. From left, Alexander Henry "Heath", Joel Dewberry "Ginseng", Joelle Hoverson "Net of Jewels" and Kaffe Fassett "Shot Cotton". 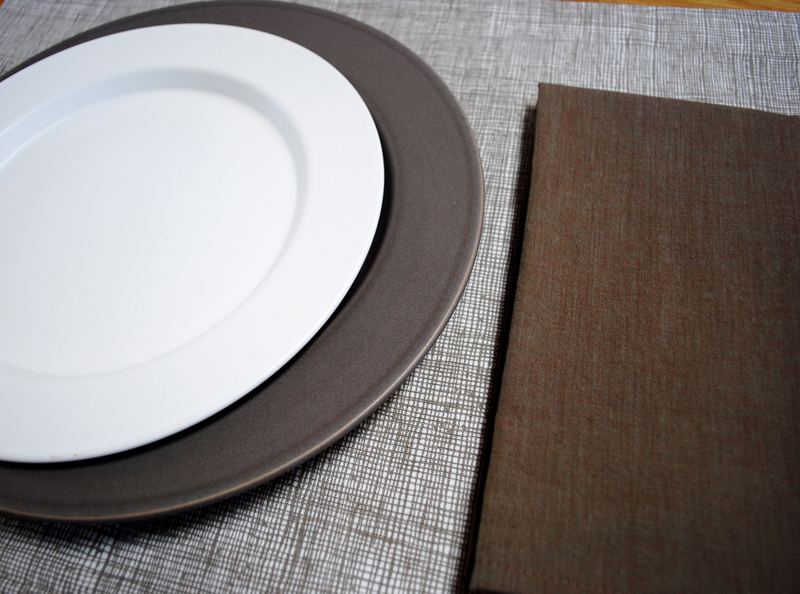 By coincidence, the "Heath" fabric perfectly compliments our wedding stoneware. For years now, I've been hoping to replace it with Heath Ceramics, but have met with strong resistance by husband. Not a very sentimental thought I know, but we never had a full set. So as a Christmas gift to hubby, I rounded up the missing components on replacements.com and ebay. some Annabel and Andy aprons for D and friends. Annabel is the daughter of a friend for whom I first made the apron, and I don't know an Andy, but I like alliteration…so there you have it. Finally, some pix of my back-tack efforts. The theme was gold, frankincense and myrrh. Jingle Bell wreaths. An effort by the three of us. 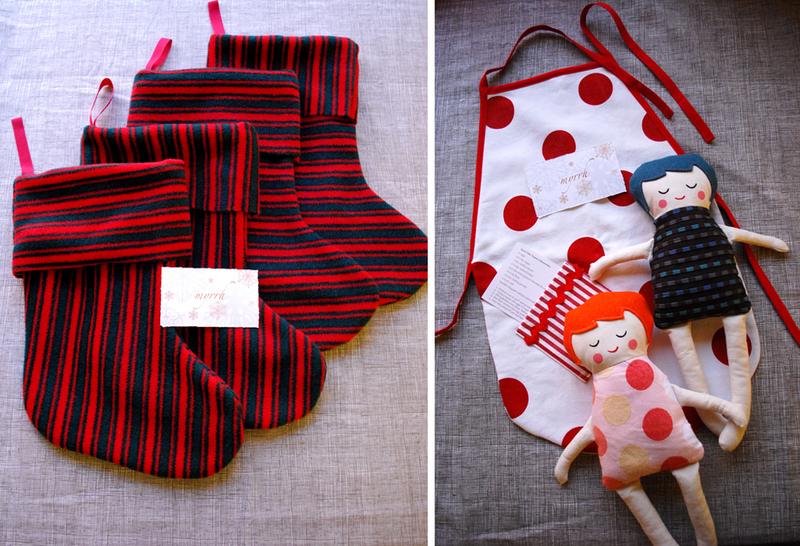 My most favorite of all…stockings + treats for little ones! Wow, it's been a busy crafting time! I'm not quite sure how we got it done, but we did. The project list for 2009 is growing. 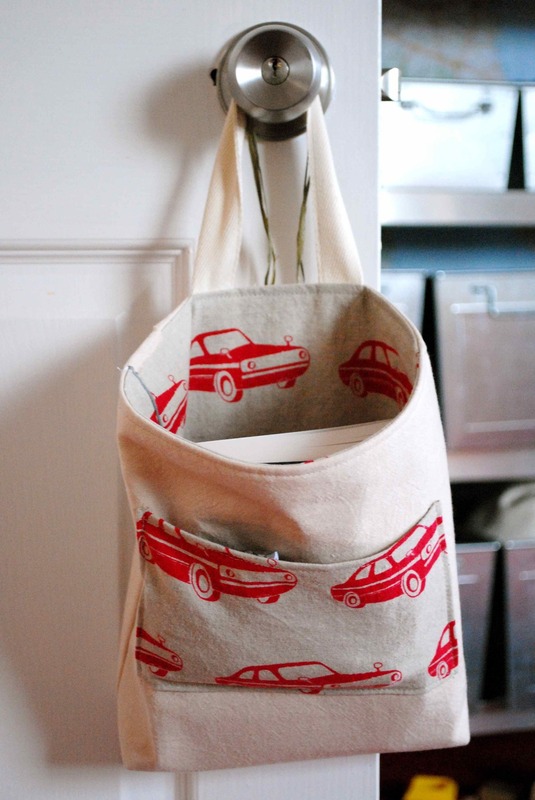 First on the list is‚Ä¶an apron‚Ä¶for me! After that, some room improvements for D., a handbag, and some costumes for a party!